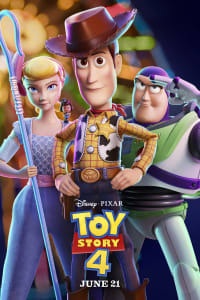 TOY STORY fans both young and old have wondered how the upcoming TOY STORY 4 is going to continue the legacy of the classic animated series. After all, the ending of TOY STORY 3 was practically perfect, and following up on that emotional finale was bound to be challenging for Pixar Animation Studios. But Disney tackled that issue immediately when they took the stage at CinemaCon 2019 in Las Vegas. When it was time to promote the upcoming TOY STORY 4, they admitted straight up that the ending of TOY STORY 3 was so good that they worried about how to attempt any sort of follow-up. 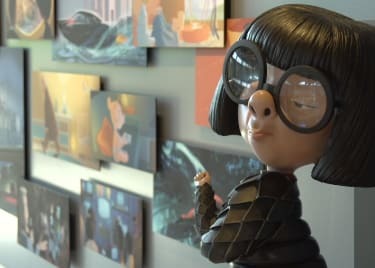 But it was Pixar guru Andrew Stanton, director of WALL-E and a contributor to the TOY STORY franchise since day one, who put things in the right perspective. The way that Stanton framed it, the first three stories in the series were about Andy. 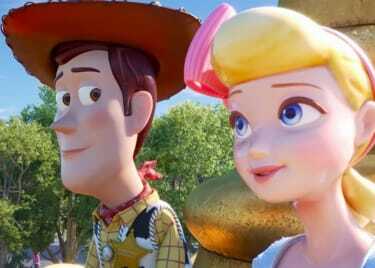 They followed his journey and brought it to a close in TOY STORY 3. But the TOY STORY series overall is really all about Woody (voiced by Tom Hanks). The first movie finds him getting a new best friend in Buzz Lightyear (Tim Allen). The second movie shows Woody gaining more “family” members in the Roundup Gang. And by part three, Andy has passed on Woody to a new kid, Bonnie. So, the way that Pixar is treating TOY STORY 4, it’s a new beginning for Woody, stemming from that perfect ending in TOY STORY 3. They won’t try to force the continuation of Andy’s story. They have shifted fully to Bonnie, through the eyes of Woody. And it works. We were able to see the first 17 minutes of TOY STORY 4 at the Walt Disney Studios presentation in Las Vegas. It cemented the bond between Woody and Bonnie, as the toy sneaks into Bonnie’s book bag on the morning of her kindergarten orientation, to help her adjust. But in the opening 17 minutes of footage that we were able to see, TOY STORY 4 also sets up a handful of interesting plot threads around Woody that we can’t wait to see play out. In one, we learn why Bo Peep (Annie Potts) isn’t in the picture anymore. And in another, Woody introduces the gang to a new friend named Forky (Tony Hale) — his origin, we will leave for you to learn on your own. You will be able to soon enough. TOY STORY 4 continues Woody’s story when it opens in theatres on June 21.